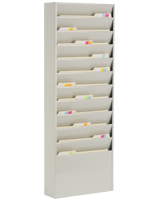 This vertical wall file organizer is a five pocket system with each divider measuring 1-1/4" deep. 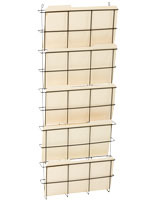 The hanging vertical unit is accessible when placed near a desk or in a reception area, and solid construction keeps documents out of public view but within easy reach of staff. 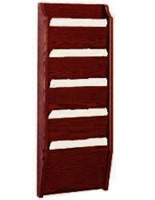 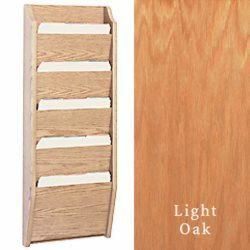 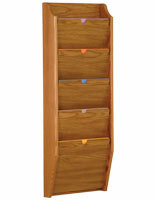 This vertical wall file organizer that is an oak chart holders fixture makes a striking statement on a wall. 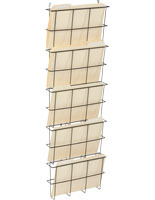 This (5) pocket system is an affordable, durable, high-quality buy! 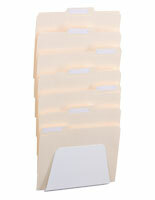 This vertical wall file organizer, such as a file organizer, mounts to the wall with included hardware.